Isn’t this precious?! I loved being able to document the size difference in her newborn photos and 1 year photos, as well as showing milestones like standing up. 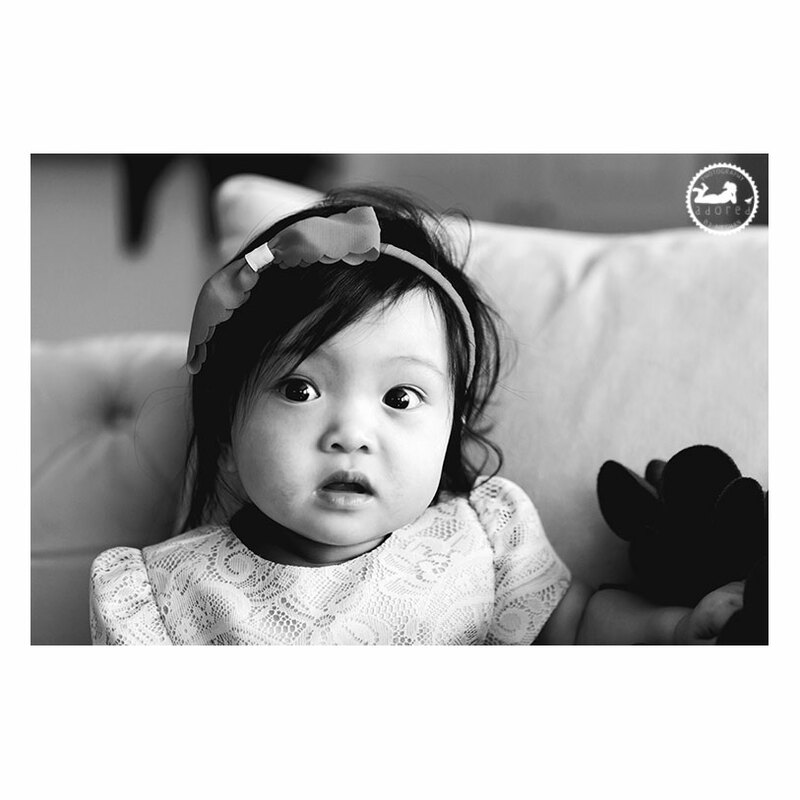 Around their first birthday is the perfect time to hire a professional photographer to document these big milestones! This sweetheart was the winner of last year’s Beautiful Baby Search. Mom & Dad opted to schedule her winning session for her first birthday portraits. Good call parents! My job as a photographer is to follow the adventure. And we ended her session with a cake smash! 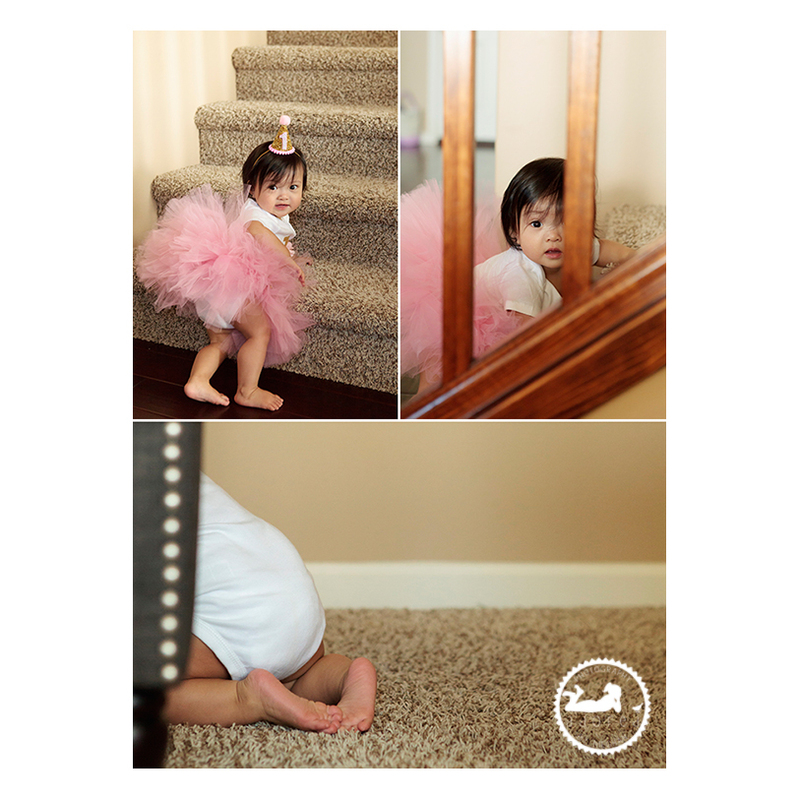 A fun extra for a baby girl’s first birthday portrait session! Are you looking for a photographer to document this special time when your baby is transitioning from babyhood to toddlerhood? Are you searching for a photographer who will come to your home and photograph those day-to-day moments that will soon become distant memories? If you are, click through to Book Meghan to send me an email to start the process of planning a customized session for our family!